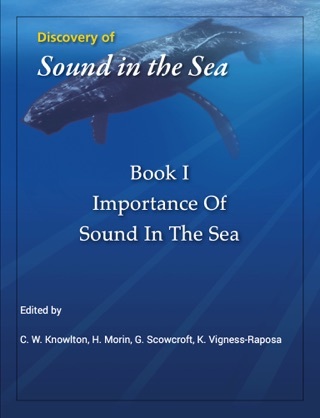 People and marine animals use sound in the sea to accomplish many tasks. Sound is often used by marine animals for basic activities such as finding food or a mate, navigating, and communicating. Through the use of underwater sound, humans can complete such tasks as mapping the seafloor, locating offshore oil reserves, and identifying submerged objects. 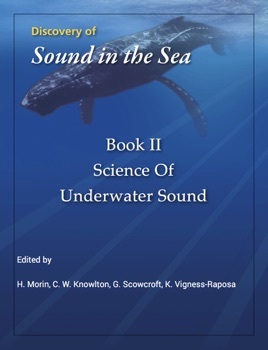 This book is an introduction to the science of underwater sound. 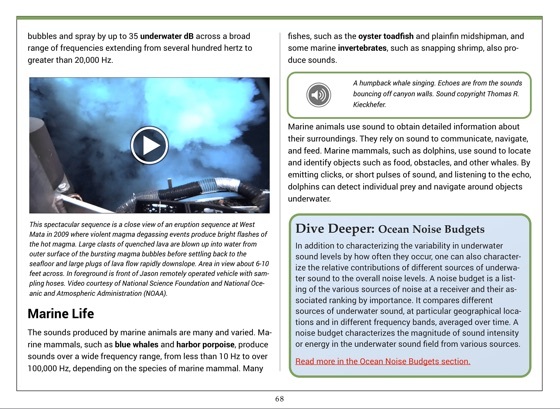 DOSITS focuses on sound in the ocean, both natural and human produced. 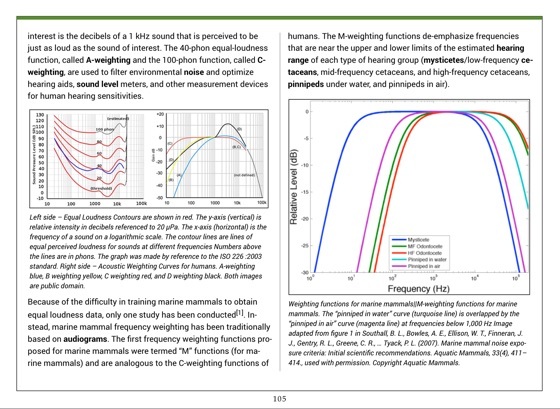 Despite the marine focus, much of the information about these sounds and the related underwater bioacoustic principles are true for all aquatic environments. 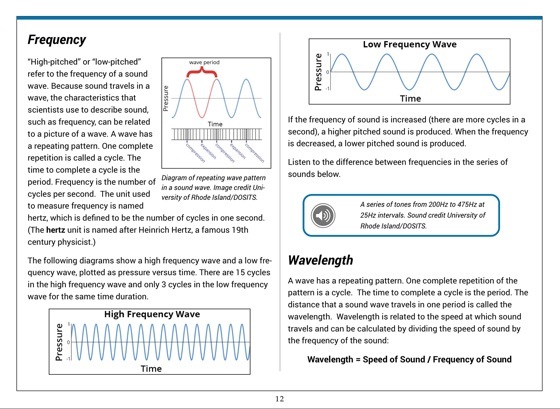 This book contains a selection of DOSITS content about the science of sound. 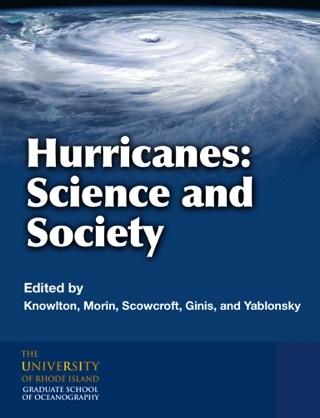 Several of the topics discussed in this book are areas of current active scientific research and new information is available as peer-reviewed publications become available. DOSITS attempts to keep its content as up-to-date as possible, incorporating new research findings into the website twice a year. Proceeds from the sale of this book will support updates of the book’s content as the results of newly published research are incorporated into DOSITS content. 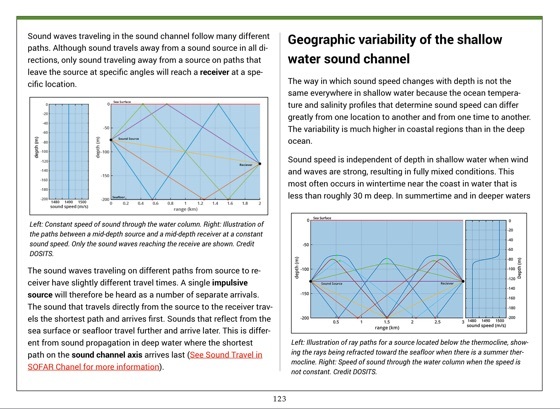 The Discovery of Sound in the Sea materials have been developed by the University of Rhode Island Graduate School of Oceanography in partnership with Marine Acoustics, Inc. of Middletown, RI. Many other scientists have contributed to the project’s materials, including over 50 independent scientific reviewers. 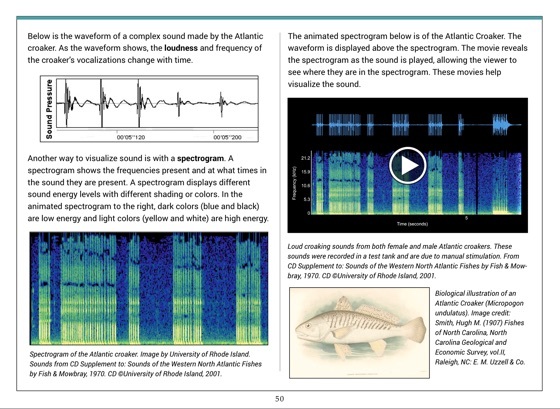 In addition, many researchers have generously donated the use of images and sounds in this book. DOSITS materials have been developed and produced with funding from the U.S. Office of Naval Research, the National Oceanic and Atmospheric Administration, the National Science Foundation, and the Exploration and Production, Sound and Marine Life Joint Industry Programme.